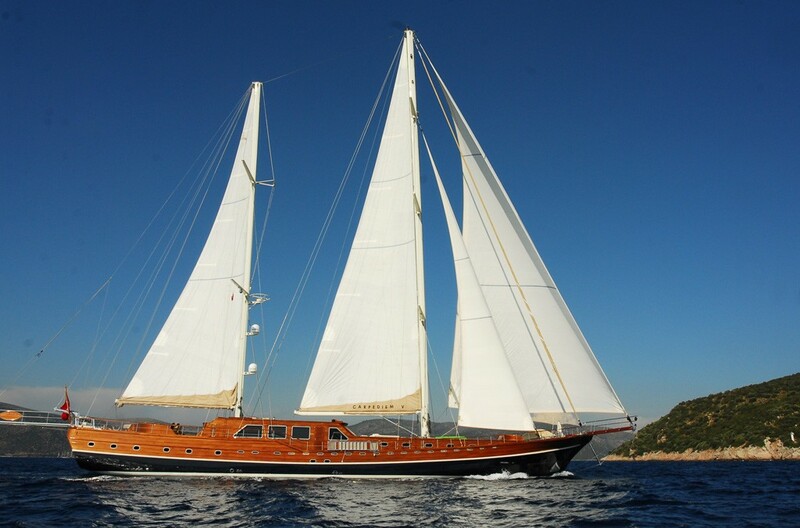 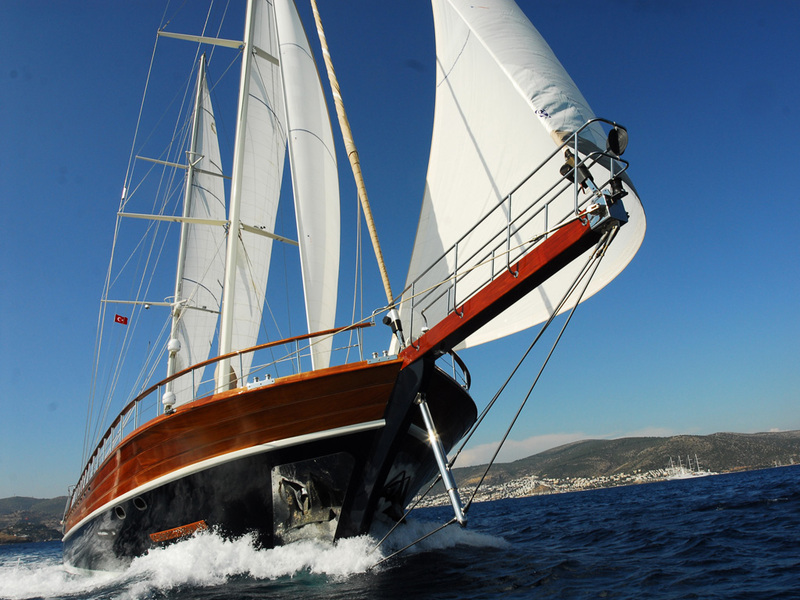 Luxury sailing Gulet CARPE DIEM V was launched by Carpe Diem Yachting of Turkey in 2012 and measures 47m (154.2ft). 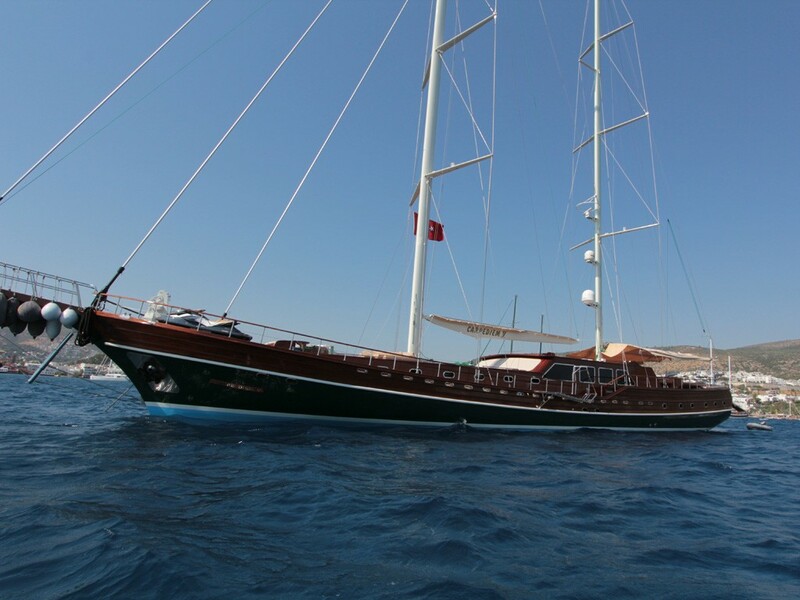 The impressive ketch rigged sailing vessel can accommodate up to 12 guests in 6 deluxe en-suite cabins offering modern amenities and a lovely warm ambiance. 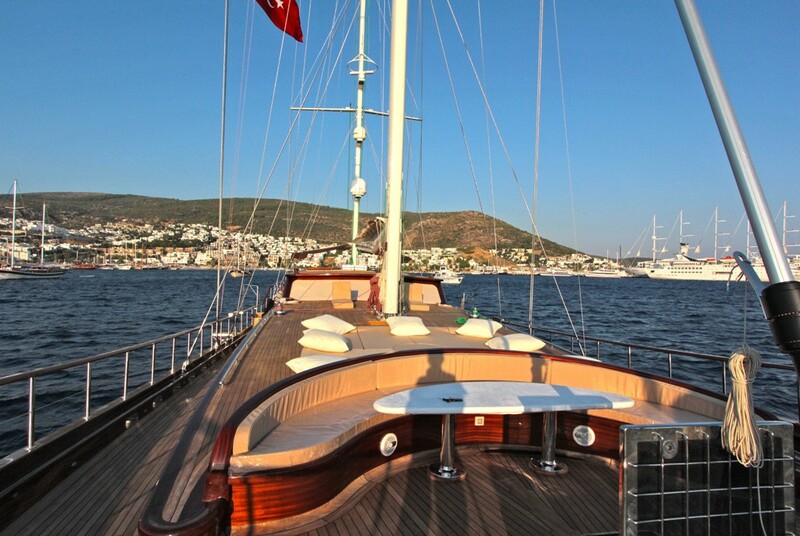 Charter yacht CARPE DIEM V is available in the eastern and western Mediterranean. 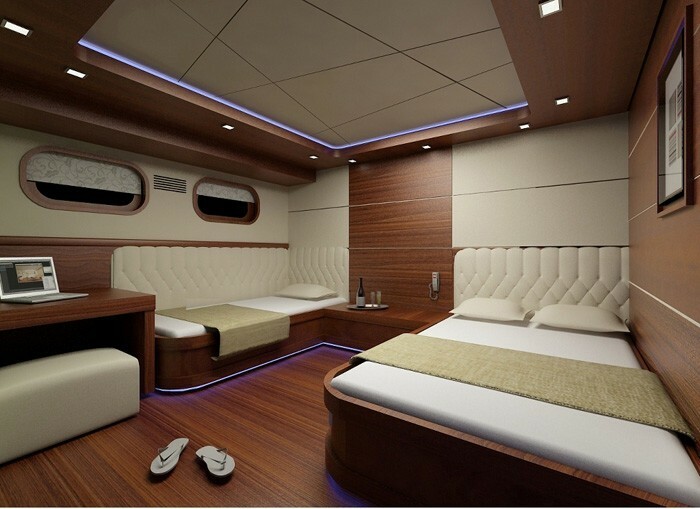 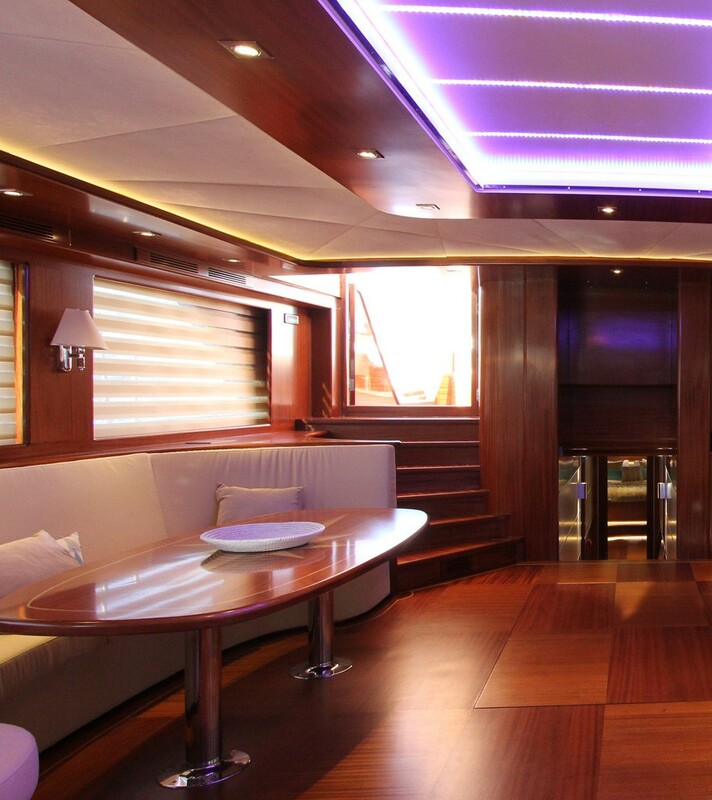 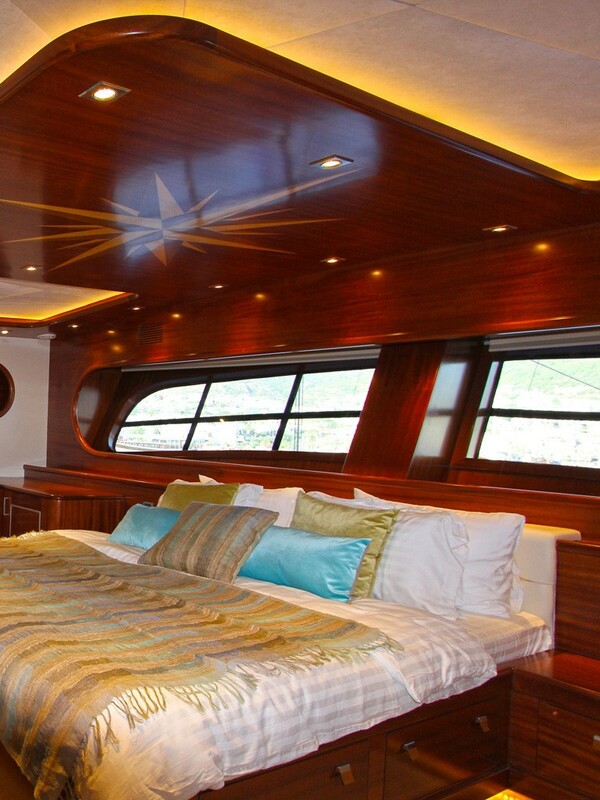 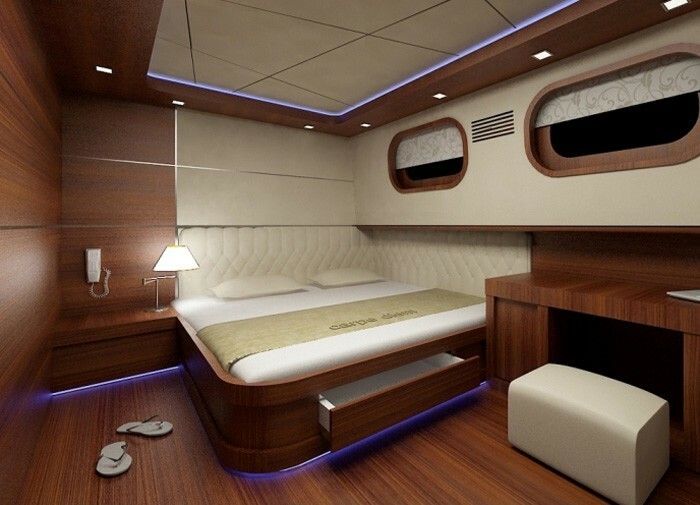 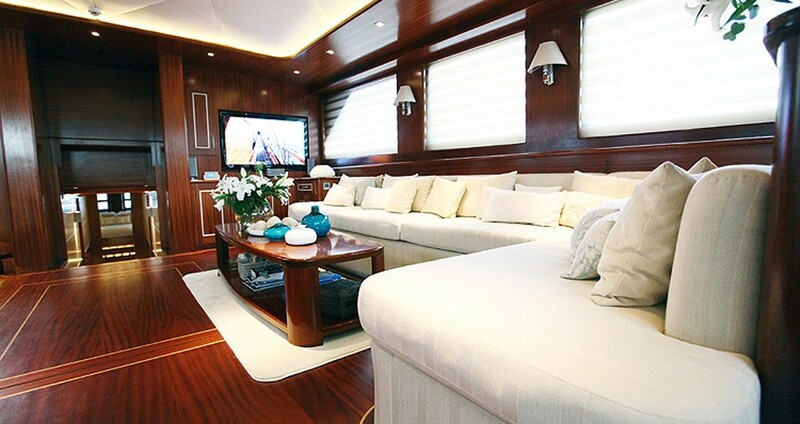 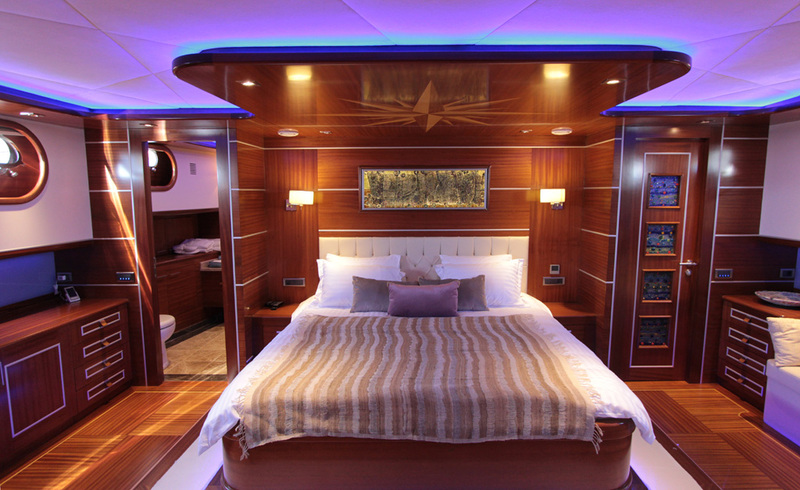 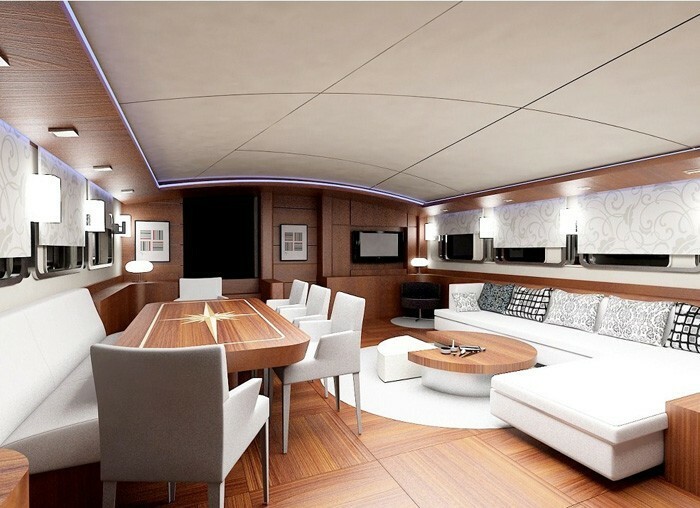 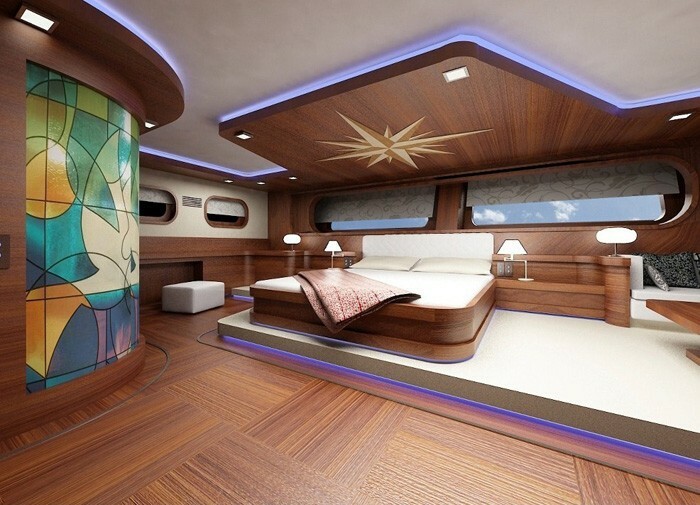 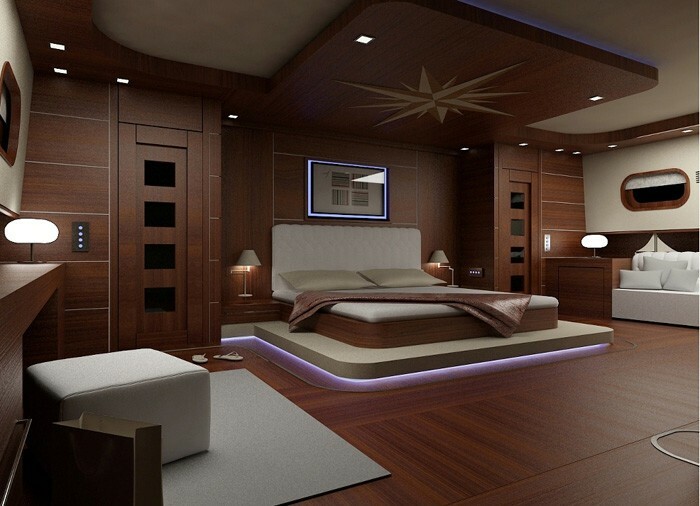 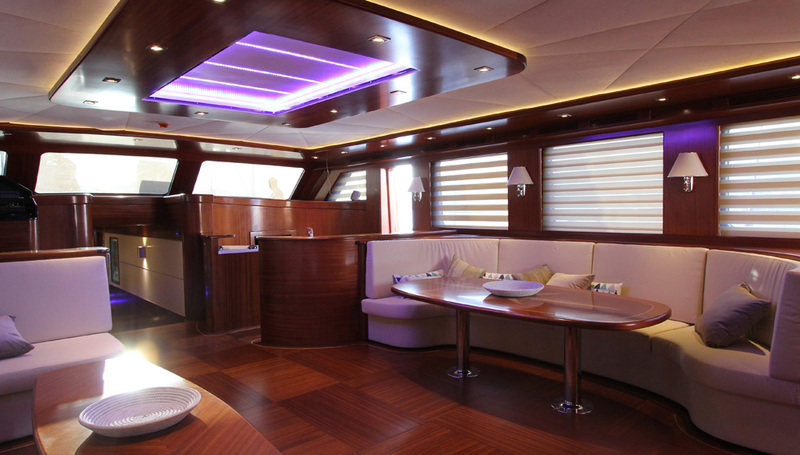 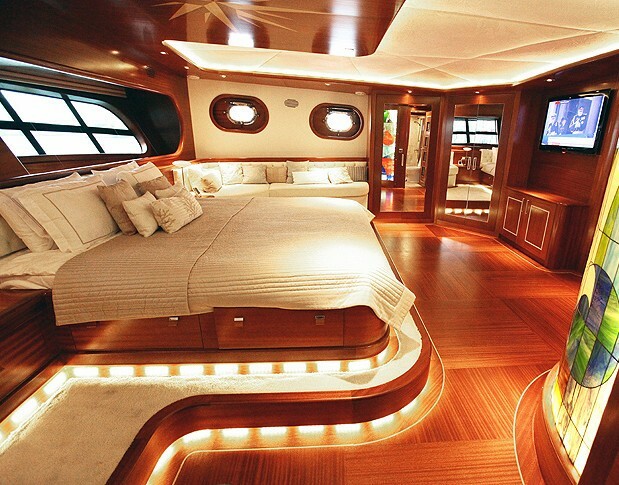 S/Y CARPE DIEM V boasts an elegant interior with warm wood panels, parquet floors and intricate inlay detailing. 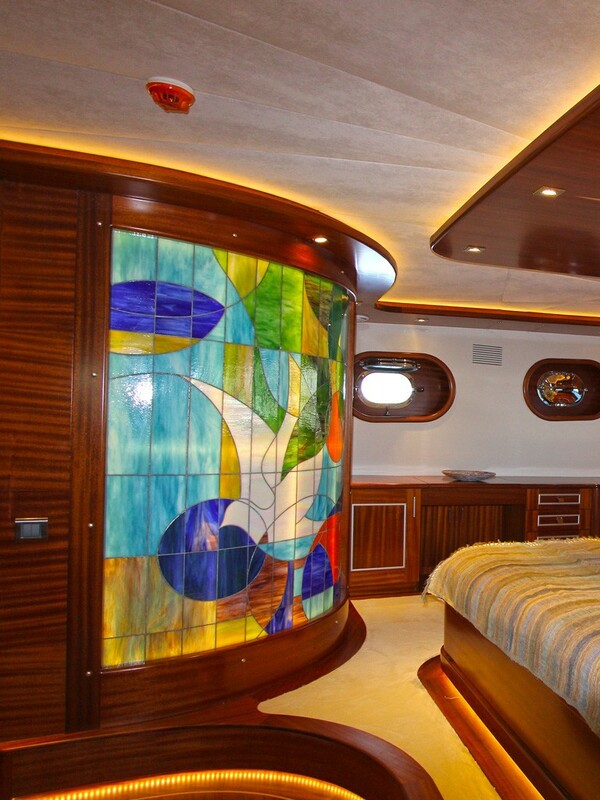 The furnishings are of the highest quality creating a traditional and classy décor. 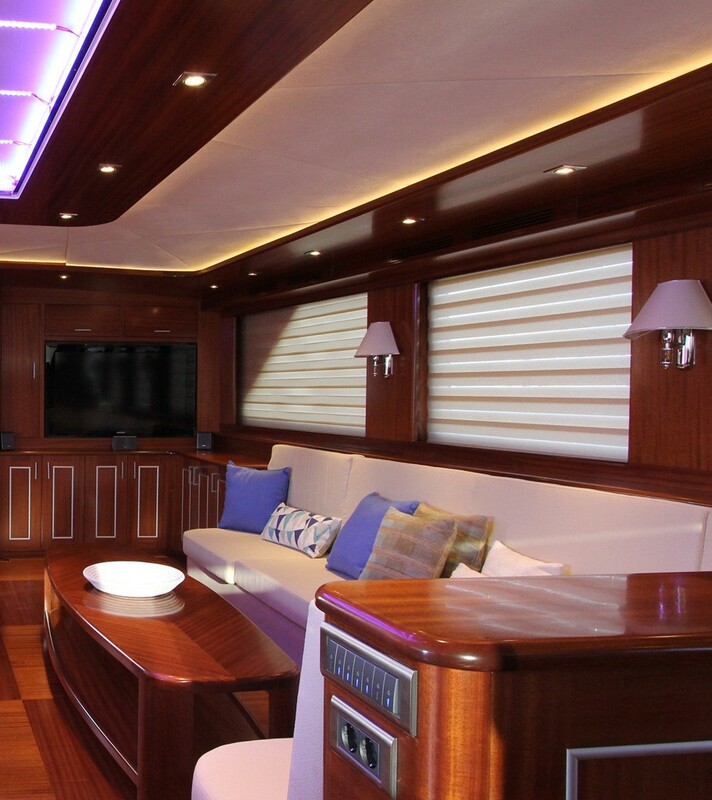 The salon is raised and surrounded by large windows, featuring 2 large cream sofas, a formal dining table and coffee table, a full entertainment system with SAT TV and surround sound, ideal for indoor activities. 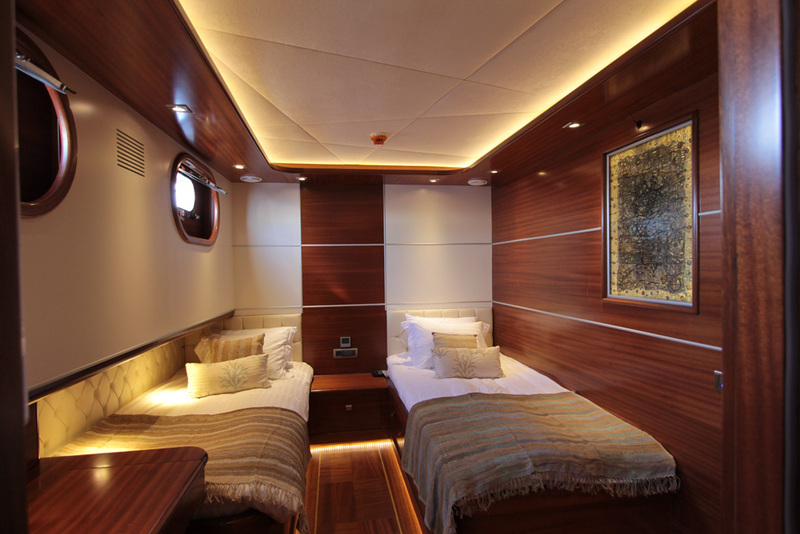 Forward of the salon is the master and 2 double cabins, while aft of the salon is an additional master and 2 twin cabins. 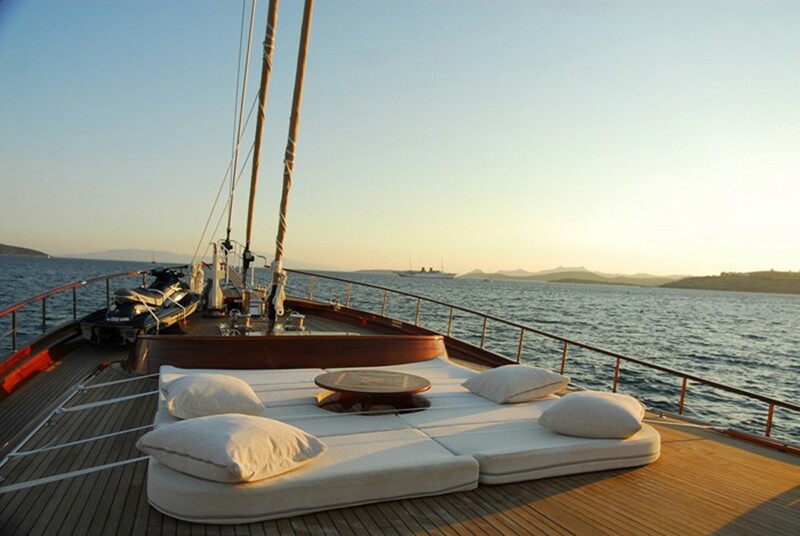 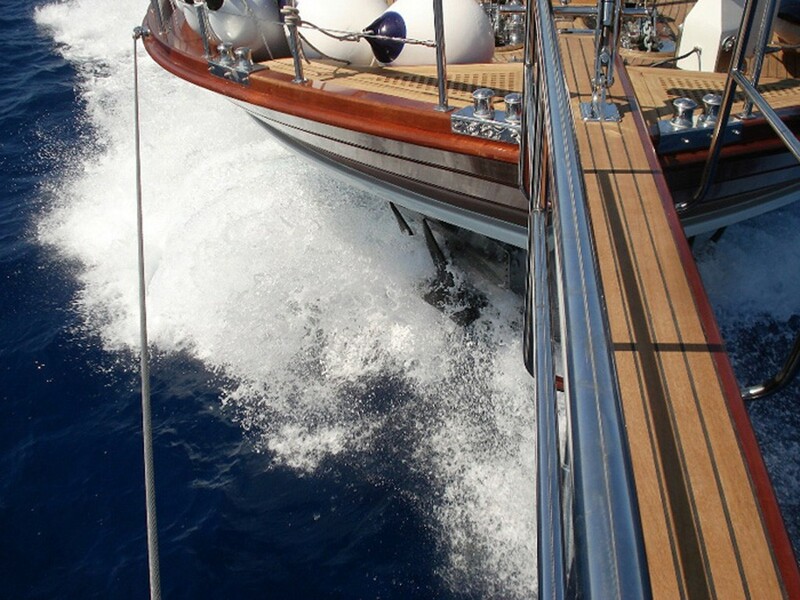 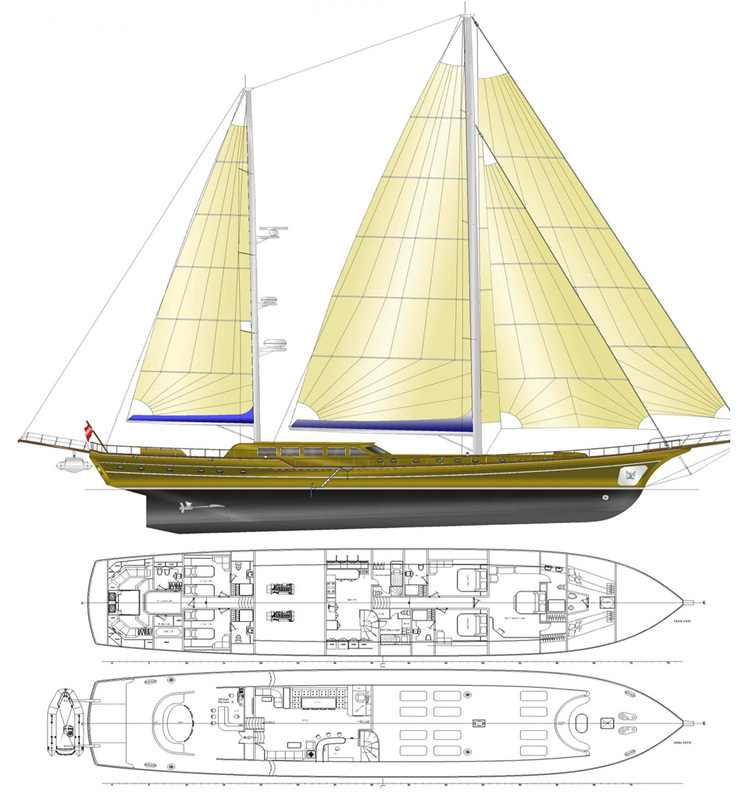 Sailing yacht CARPE DIEM V boasts ample teak decks perfect for large groups. 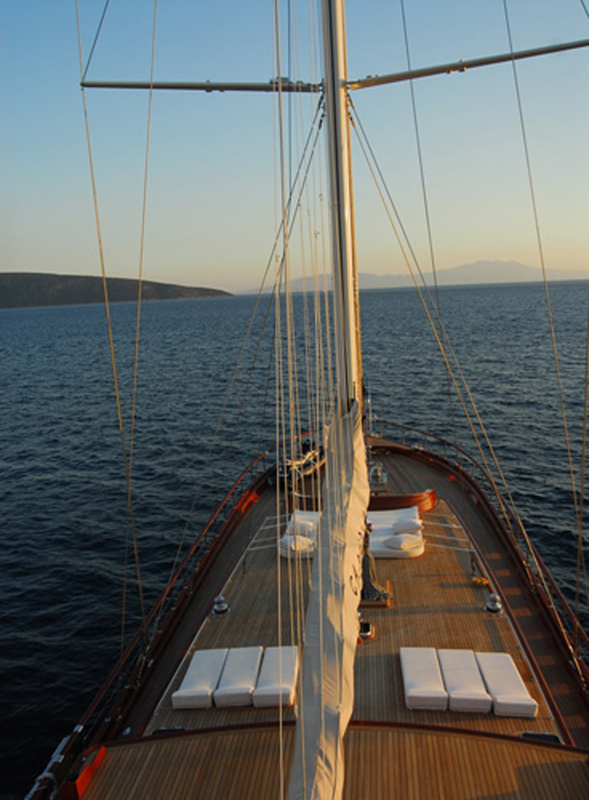 The aft deck offers a removable Bimini cover, comfortable seating, an alfresco dining option and in true gulet style, a full beam aft sunpad. 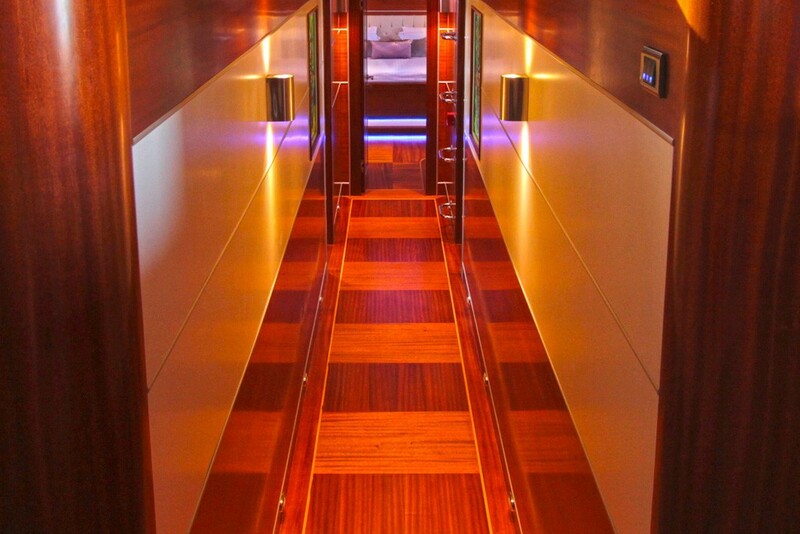 The decks are wide and easy to move around on. 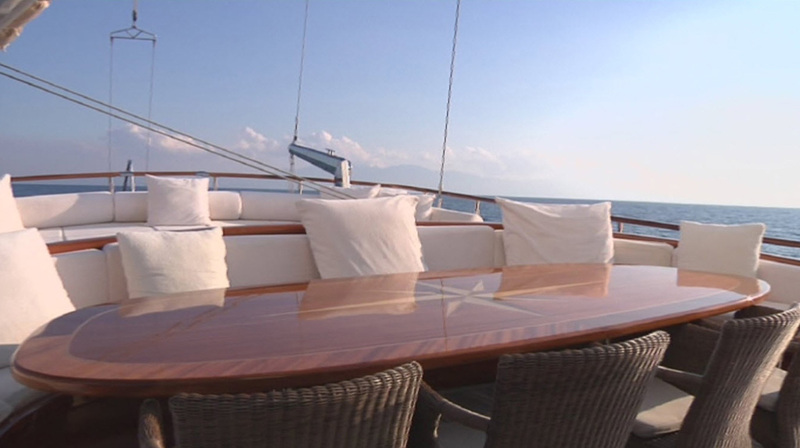 Side decks lead forward to a further seating area with table, perfect for an evening aperitif, sun lovers will find the many sunpads on offer temptingly inviting to soak up the warm Mediterranean rays. 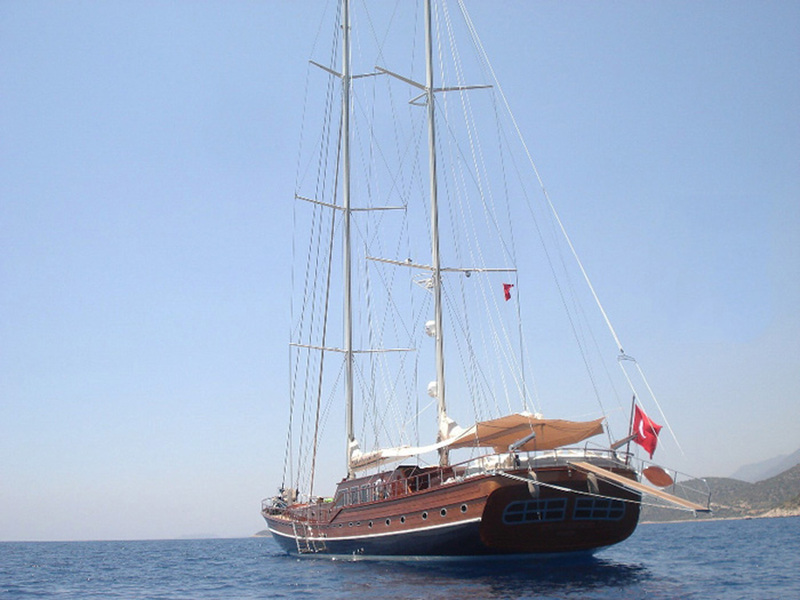 S/Y CARPE DIEM V has a large array of water toys to choose from for the more active guests onboard. 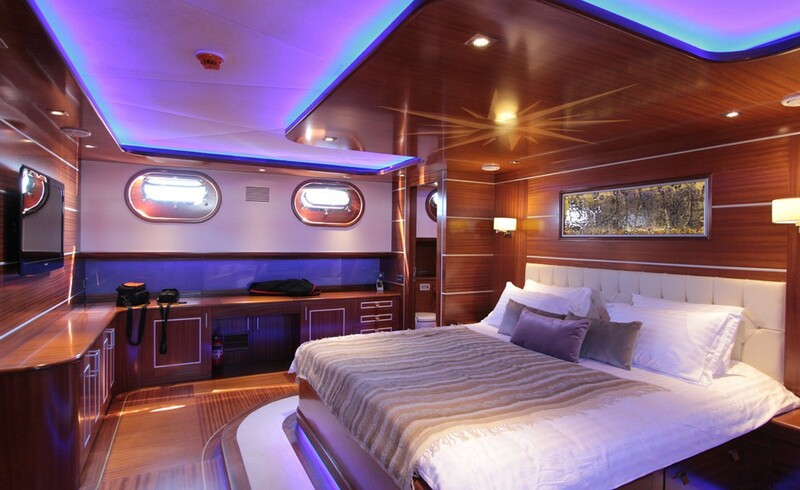 Charter yacht CARPE DIEM V has a beam of 8.8m (29ft) and a draft of 4m (13.3ft), the yacht is powered by 2 x Iveco 600hp engines and can easily reach up to 11 knots. 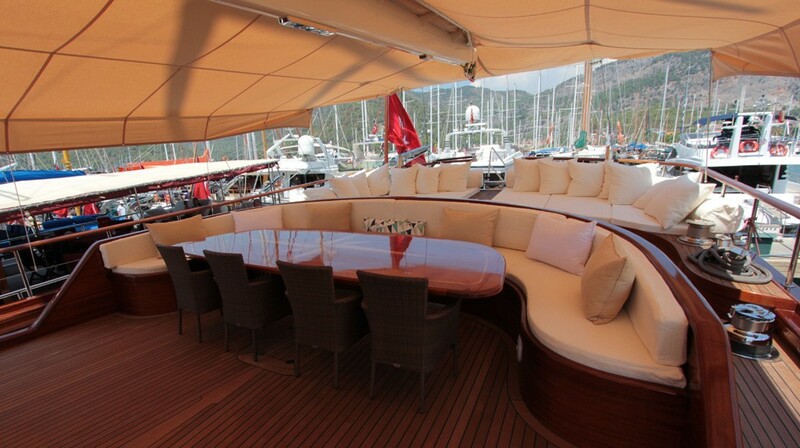 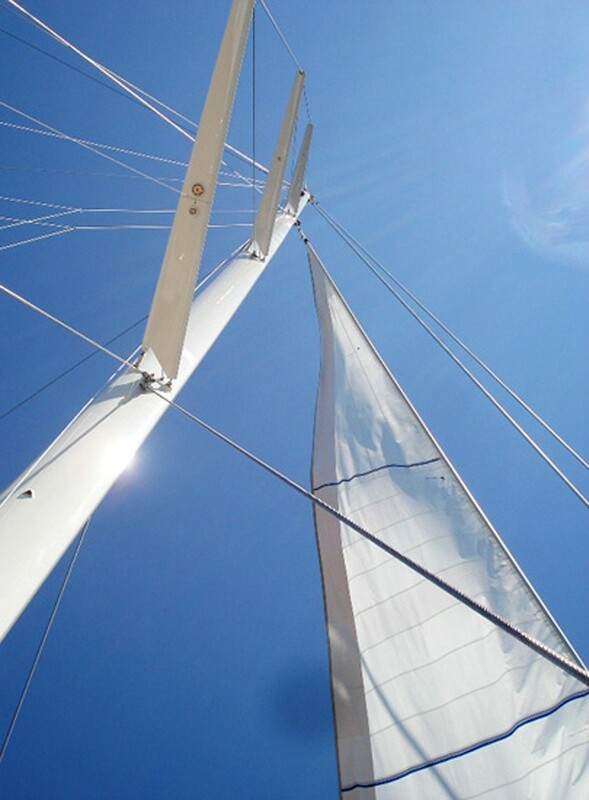 The yacht has a dedicated crew of 7 on hand, ensuring guests ultimate comfort. 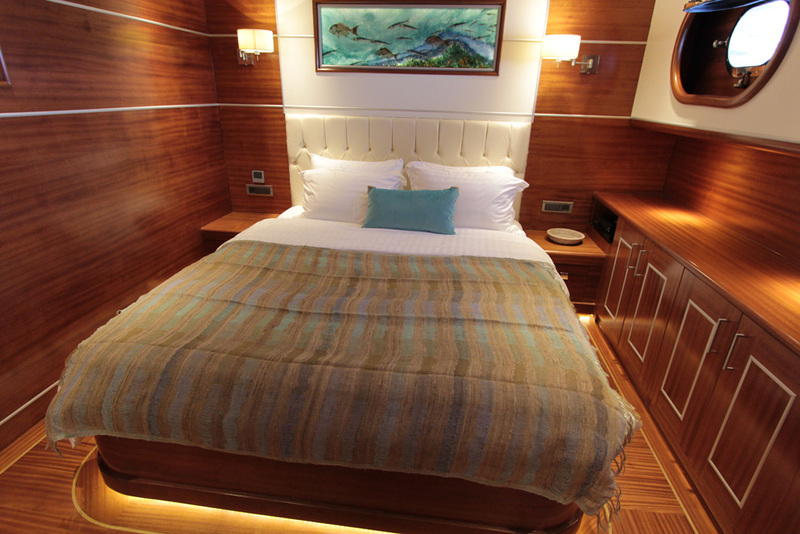 S/Y CARPE DIEM V offers 6 en-suite cabins for up to 12 charter guests, all with SAT/TV and entertainment options. 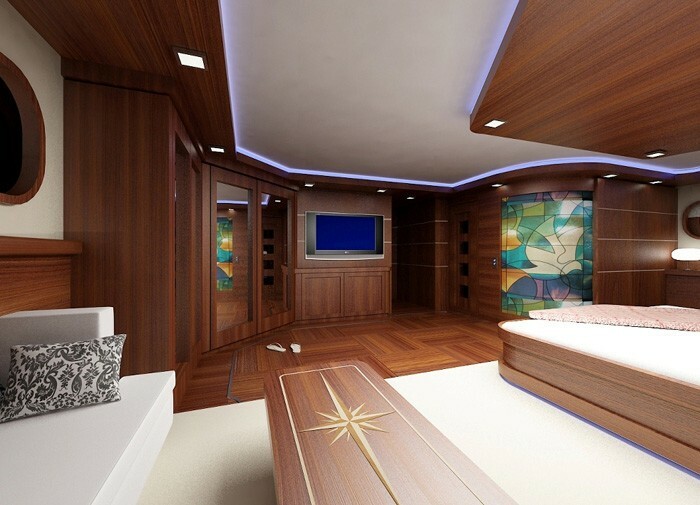 The master suite is forward and full beam of the yacht with a center lined king size bed, love seat, vanity, walk in wardrobe and en-suite with additional sauna room. 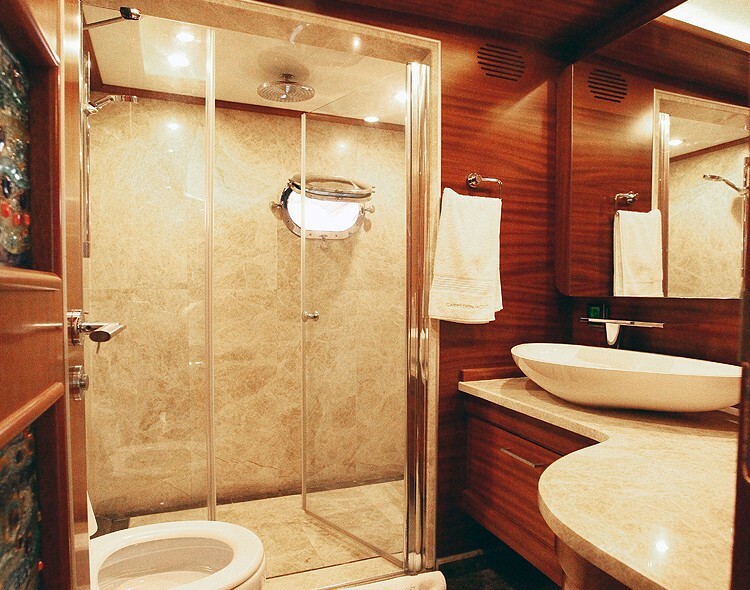 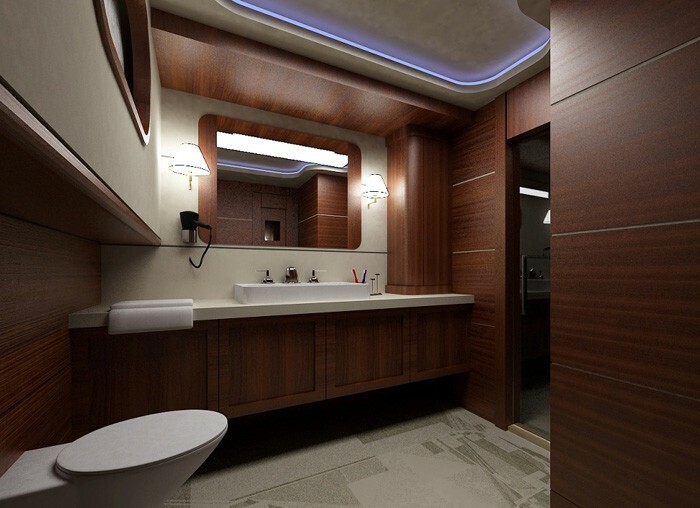 A further master cabin is aft and full beam of the yacht with a center lined king size bed, sofa, vanity and a fabulous intricate stained glass enclosure around the en-suite facility. 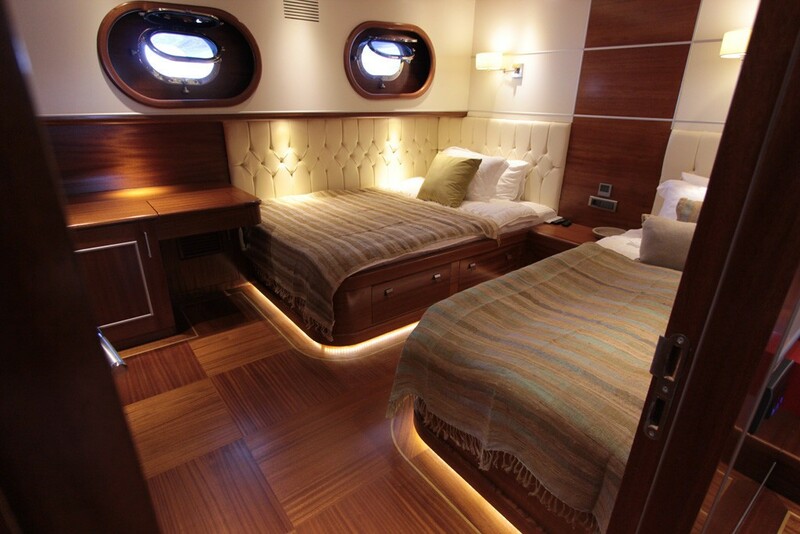 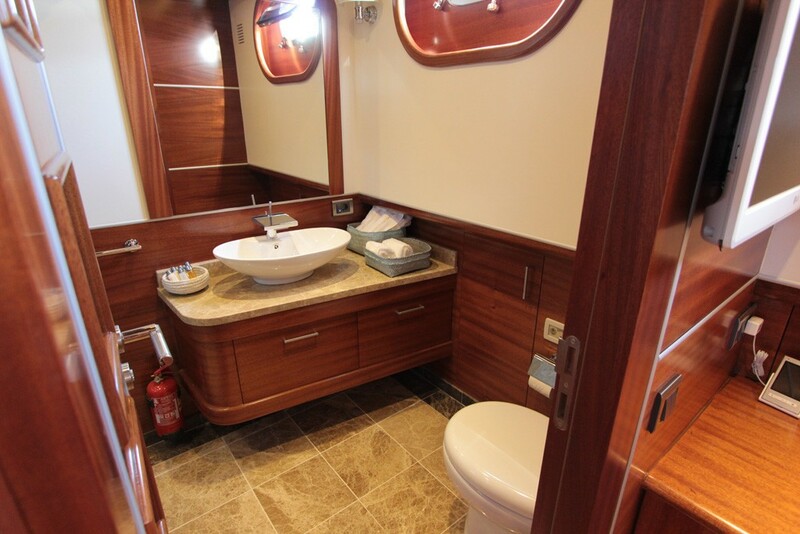 Forward of the aft master, are 2 mirror image twin cabins with side by side single beds and en-suite facilities. 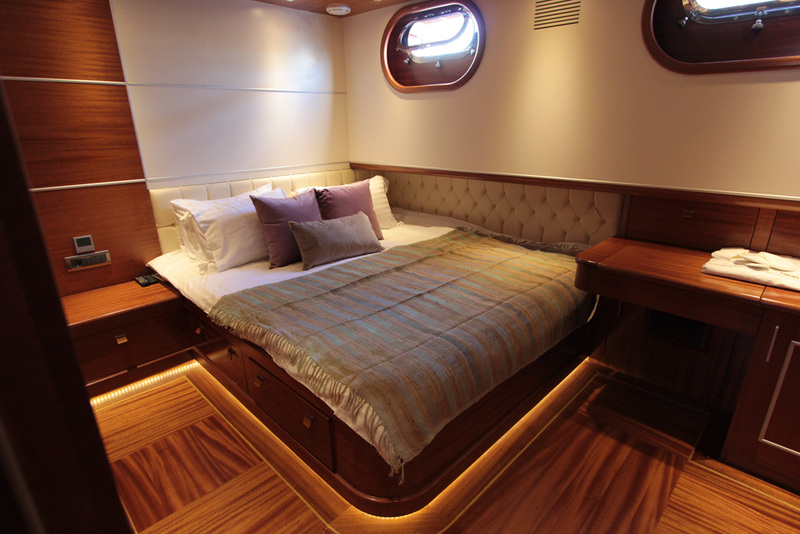 Further forward and aft of the fore master are 2 double cabins with double beds and en-suite facilities. 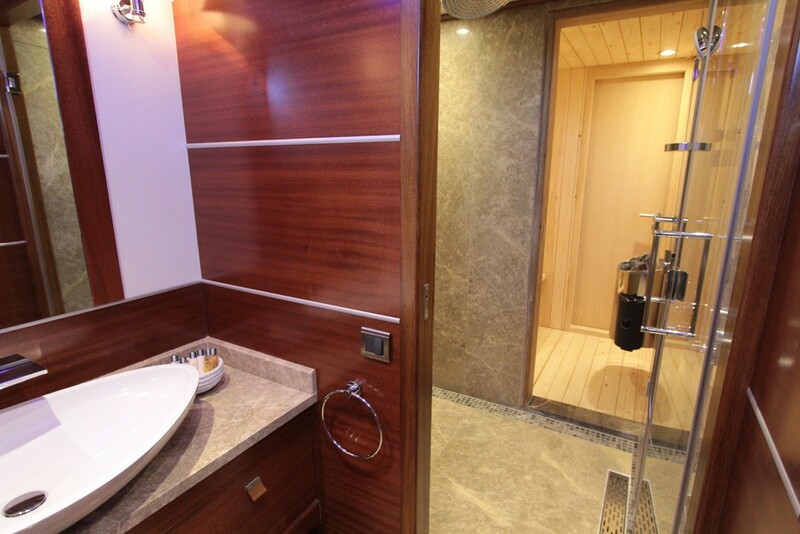 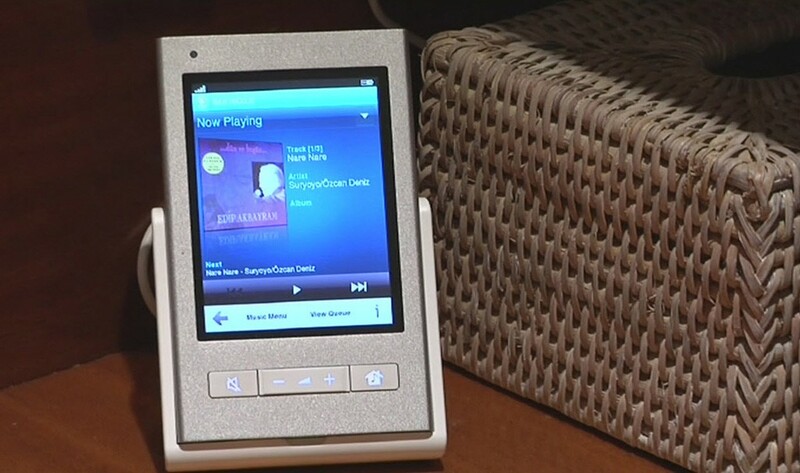 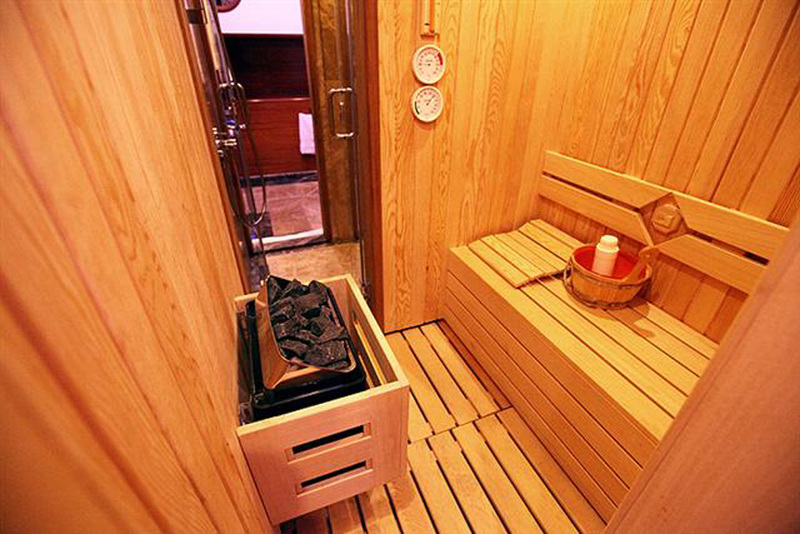 Each cabin is generous and light offering deluxe accommodation and amenities.